The Coaching Habit (2016) breaks down the elements of coaching and explains how to coach effectively. Contrary to what you might think, coaching isn’t about giving advice but instead about guiding employees to find their way to success. These blinks show how you too can become a great coach. 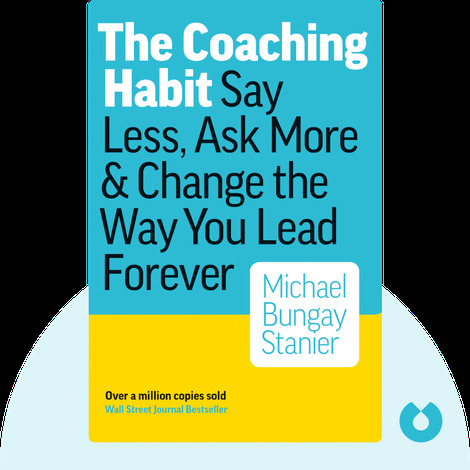 Michael Bungay Stanier is the author of a number of books, including the best-selling title, Do More Great Work. He was the first recipient of the Canadian Coach of the Year award.